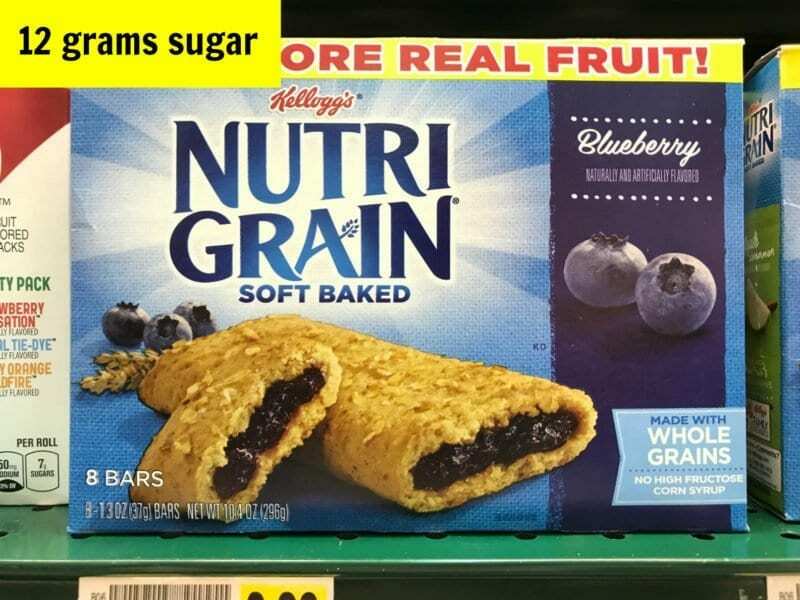 Home » Blog » How much sugar is in your breakfast bar? How much sugar is in your breakfast bar? 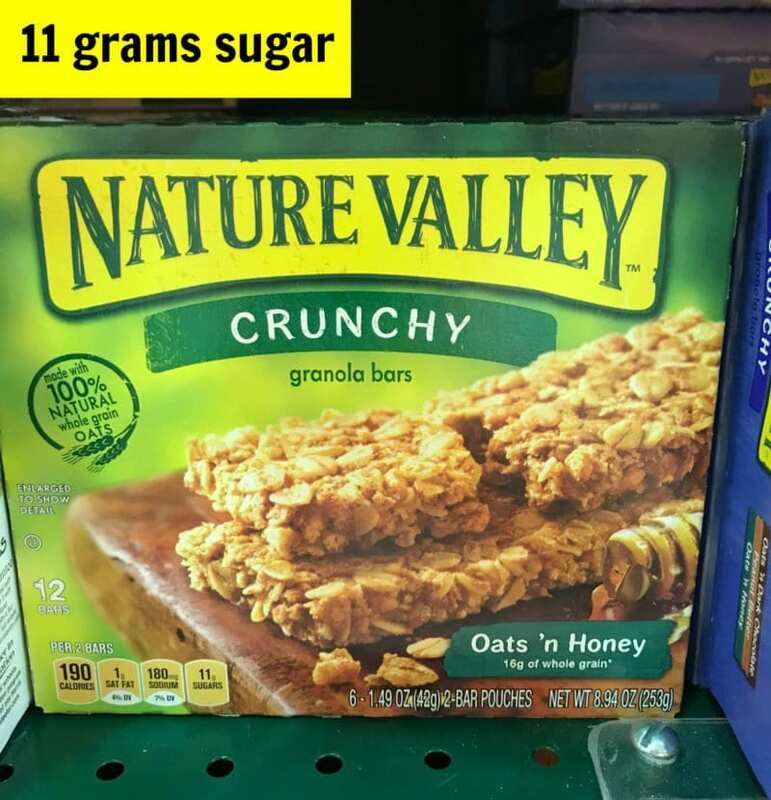 Just a reminder that most labels don’t break out naturally occurring sugar from added sugar (at this time) so I can only compare these products based on the totals. A few contain some naturally occurring sugar, but I tried to select most that don’t to make things as “apples to apples” as possible. That’s why I didn’t include one of our favorites, LARABAR, because it’s mostly dried fruit which would skew the total. And, on that note, these bars are not created equal otherwise. 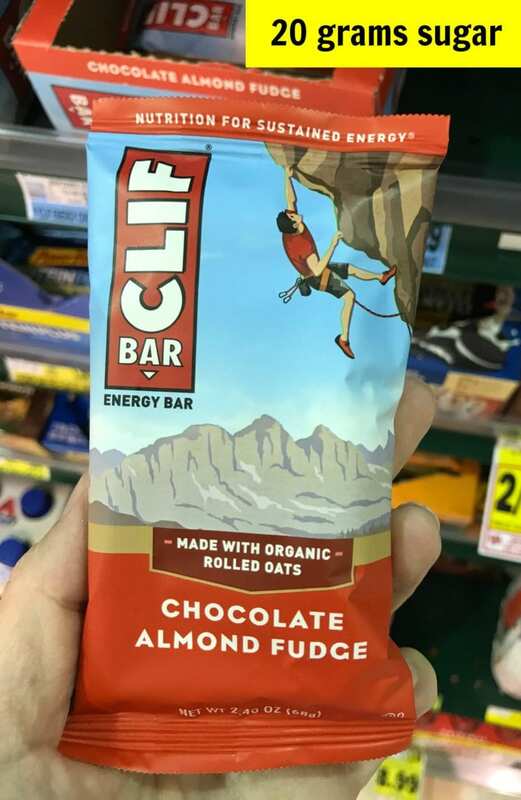 WARNING: Some bars listed here are full of junky additives (like artificial flavors) and others qualify as a “cleaner” bar for sure. 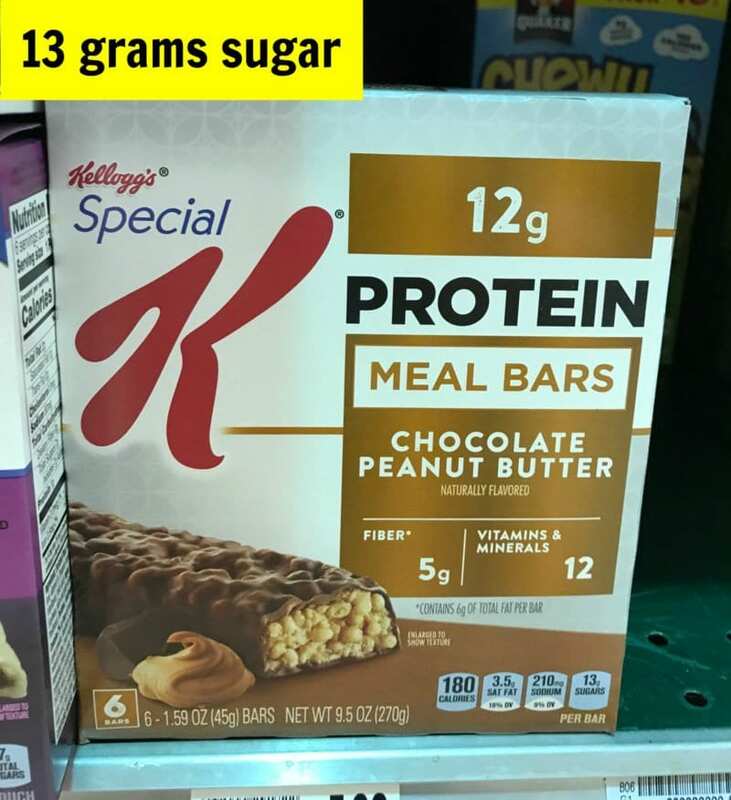 Just because a clean bar has twice as much sugar as a highly-processed one does not mean that should be your only consideration! 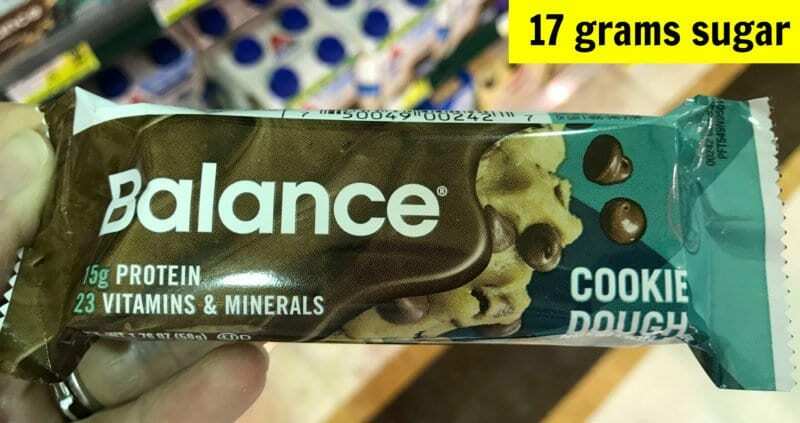 Also, some bar brands offer many different flavors, all with varying sugar counts. 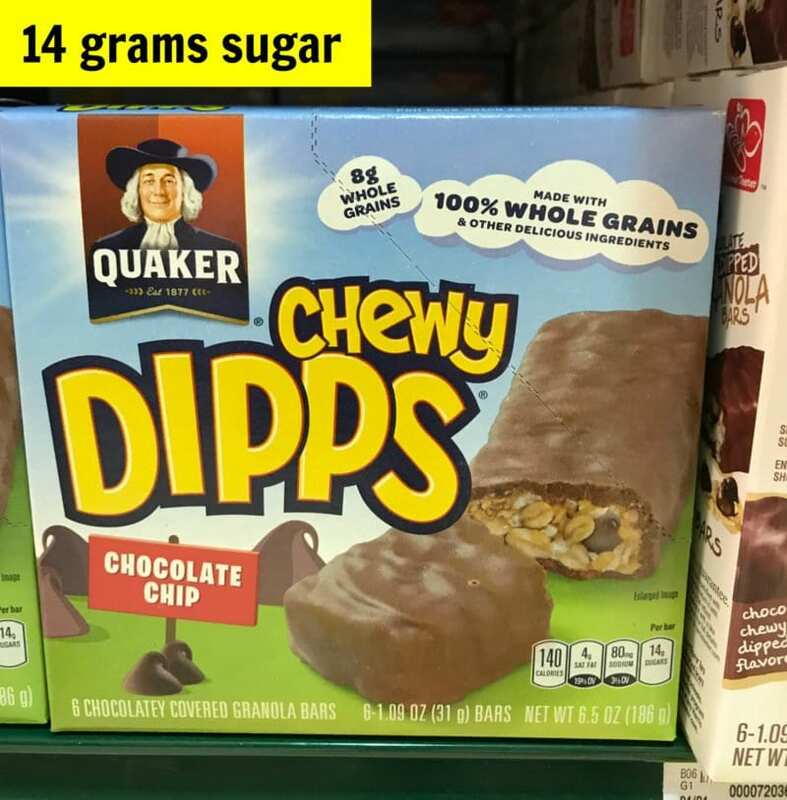 But for the sake of comparison, we’re going to put all of that aside for the moment and look at how much damage just one of your favorite bars will do to your sugar intake for the day! I’m starting off the list with our newest sponsor, Health Warrior, and for good reason. 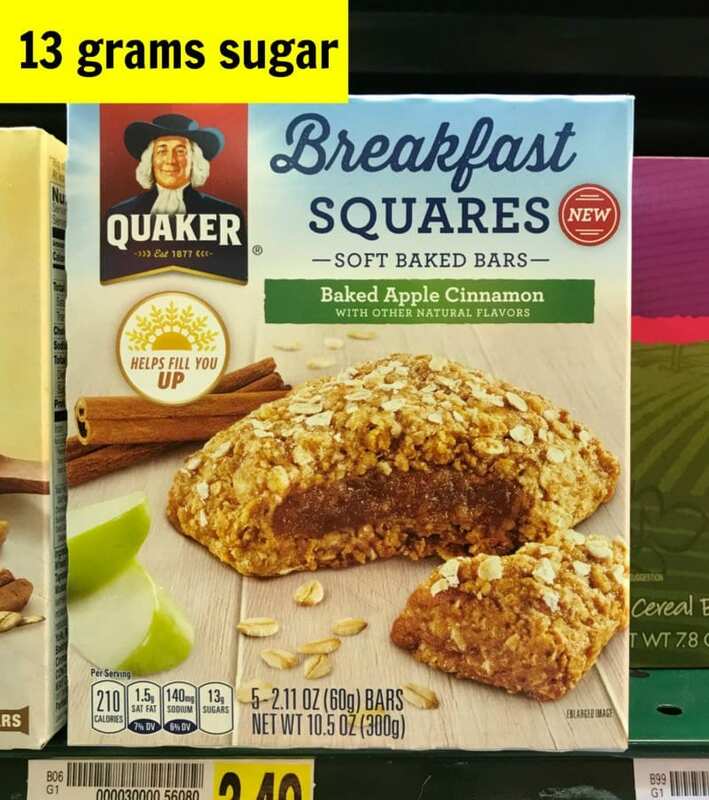 As you probably already know, most bars contain so many ingredients and unwanted additives (in addition to loads of sugar) – but not these bars! 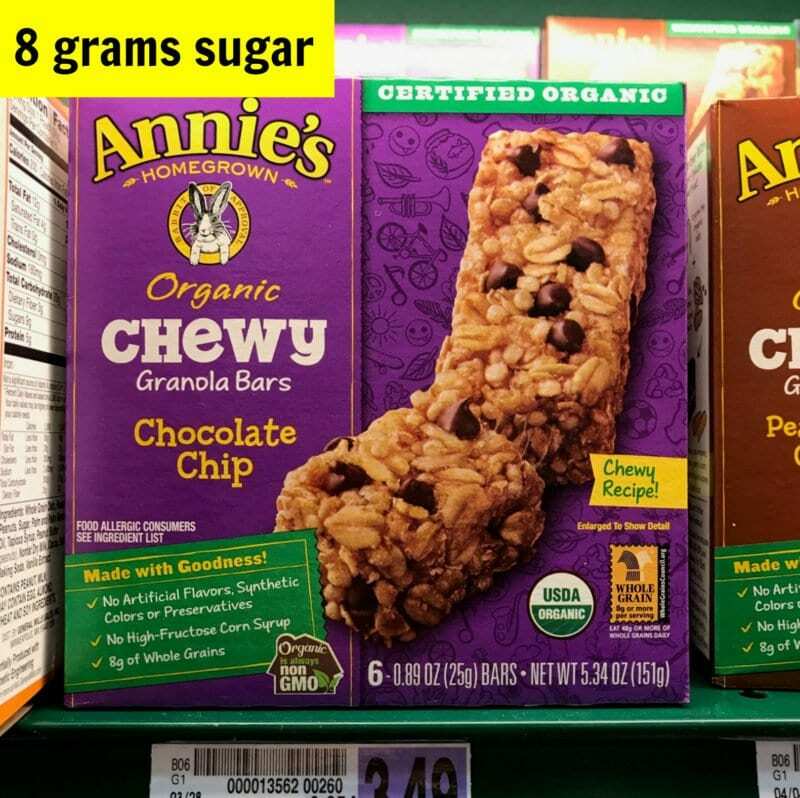 One of their newest bars, Organic Pumpkin Seed Bars, is made from just pumpkin seeds, honey, quinoa, cinnamon, ginger, coconut, allspice, and sea salt (all organic), which comes to a total of just 6 grams of sugar. And for those with allergies, they’re gluten-, dairy-, soy-, AND nut-free (although processed in a facility with nuts). Check out their 5 different flavors and pick out which one you’d like to try first. Too Many Names for Sugar: Which Ones to Avoid! Wow..that was very enlightening. I was surprised at some of the selections. Thanks for comparisons. I DIY most snacks like granola bars and Lara bars, so I can control the ingredients, added sugar, save money, etc. But am currently looking for prepackaged snacks for an upcoming trip. My oldest dislikes larabars, Kind type bars, seeds, puréed dried fruits and certain nuts.. 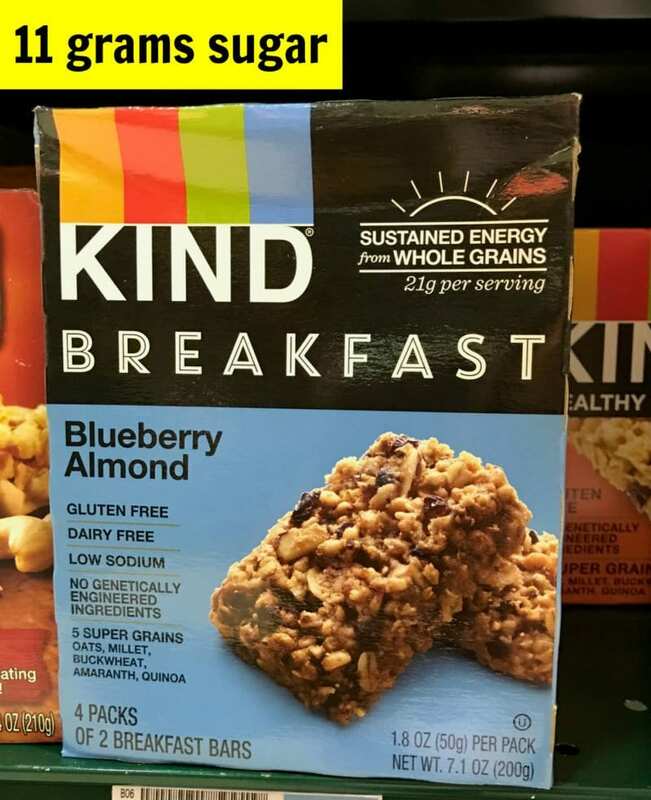 Which leaves granola bars and certain blends of trail mix. Also many of the healthier bars contain nuts, which I can’t send in to school for the occasional treat. 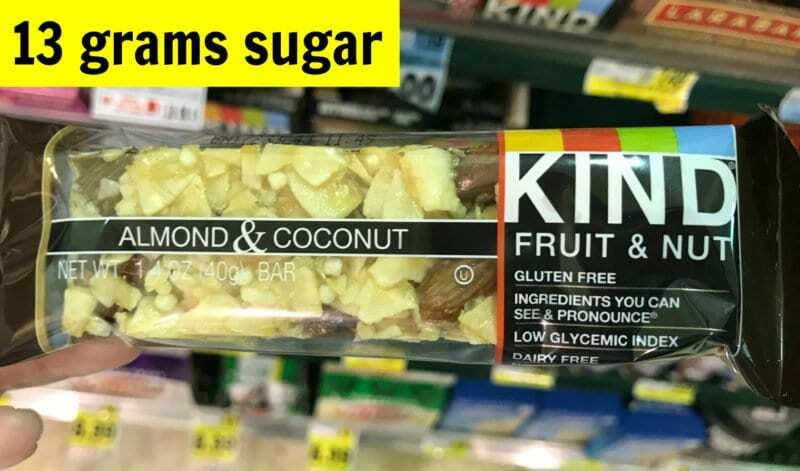 I usually go to Aldi and find the knock off snack bar with the best ingredients and lowest sugar. 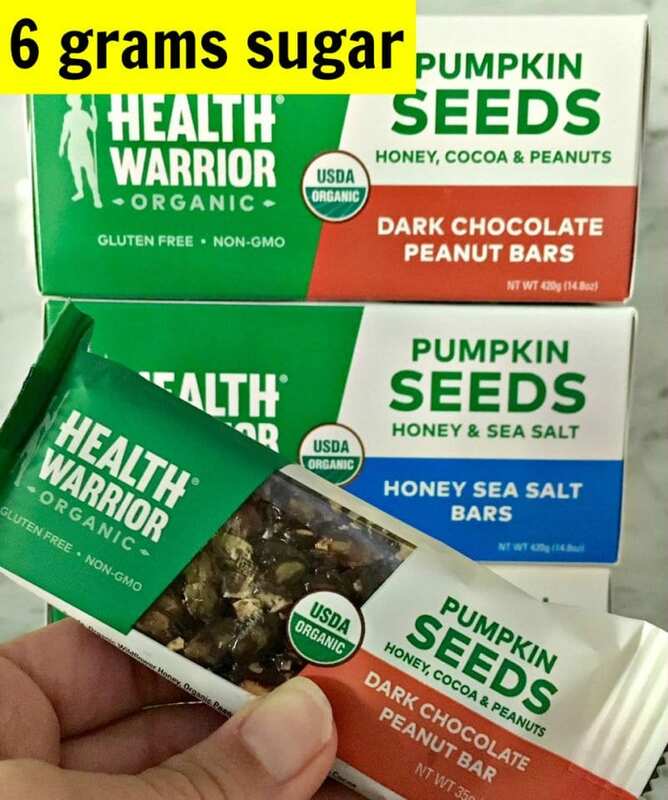 Some of the Health Warrior bars are nut free. The graphic you use clearly shows one that contains peanuts! Yes, they have a lot of options both with and without nuts. 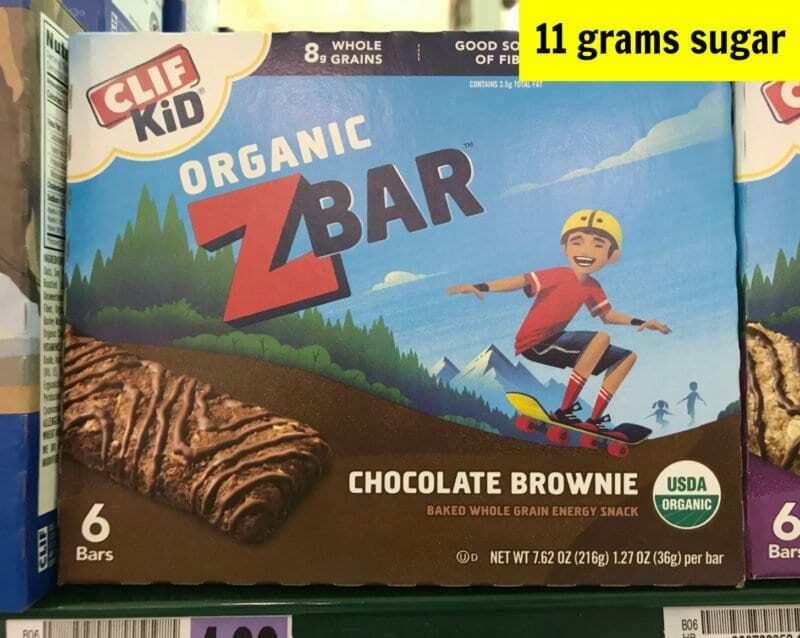 You left out the Clif Bar Luna with only 5 grams of sugar and 180 calories. They have 3-4 delicious flavors and you totally don’t miss the extra sugar. I will try the Health Warrior brand too! I don’t know why they feel they have to put so much sugar in their products! Thanks for the information. As commented by another reader, the Health Warrior brand clearly makes bars with peanuts in them. I’ve seen this before on your site where you state that something is “nut-free” but the vendor clearly uses nuts in some of its products. As a mother of a child with severe nut allergies, I pay close attention to those details. A product can not be called “nut free” if it is made in the same facility as products with nuts (unless a company backs it up with procedures in place, etc). Since you are recommending food and getting paid to do so, please take the time to learn about what you are recommending. I like your website/recipes but I feel that you are way too popular to be making these type of “amateur” errors. You are right, their facility processes peanuts. Thank you for pointing that out. Thank you for sharing the post. Usually the bars that are coming in markets focus on the taste and not on health. But your post highlights that bars that have limited sugar which in trun works with regard to ones health. Might I suggest https://www.instagram.com/factdrofficial/ for more information on health. I have eight different Kind bars in my pantry and five of them have 5 grams of sugar. Love these bars.